Leave a comment on THIS post by 6 p.m. CT Tuesday, April 21, 2015 to be entered in the DRAWING for a Kindle eBook copy of the book below. If you mention in your comment that you’re a follower (see in the left sidebar “Join This Site” and “Follow by Email”), I'll add your name a second time in the drawing. U.S. mailing address required to receive a paper book. Read book giveaway details at Disclaimers. To provide you security, please leave your email address like this: johnATyahooDOTcom. Winner announced in next Thursday's blog post. Lillian is a multi-published writer with several Amazon bestsellers, including The Christmas Stalking and Betrayed. She writes the types of books she loves to read—fast-paced suspense with a touch or two of romance that demonstrates God’s love for all of us. Whether as an educator, a writer, or a speech pathologist, she believes in the power of words to transform lives, especially God’s Word. To learn more about Lillian and her books, visit: www.lillianduncan.net. Tiaras & Tennis Shoes is her personal blog at www.lillian-duncan.com. Lillian Duncan tells us below bout her novel, Deadly Intent. Communications series. It features Maven Morris, a speech pathologist (another word for speech therapist) who has a knack for getting into trouble—deadly trouble. In Deadly Intent, Maven takes on the foster care of a small boy, abandoned in a park. She hasn’t got a clue how that decision is going to impact her life. She’s in for a lot more trouble than she bargained for. I’m not going to ruin the story by sharing what she’s about to face, but let me assure you there’s a reason deadly is part of the title. Instead, I’ll share a bit about how I came up with Maven, a crime-fighting speech pathologist. I was a school speech pathologist, also known as an SLP, for more than thirty years. I’ve also been writing for twenty. During the time, I never figured out a way to merge the two together until about two years ago, three things happened within a week of each other. First I was talking with someone whose daughter had been in a serious car accident that resulted in brain damage. She was having difficulty with her expressive language skills. He was telling me about a program she planned on attending to help. Second, my brother was talking with me about my writing. He wondered why I’d never featured a speech therapist in any of my books. My honest answer was I’d never figured out how to work a speech therapist into a suspense story. I loved being a speech pathologist but I’ll be the first to admit, it can be a bit boring listening to a student practice S or R again for the 600th time! Anyway... later in the week I wasn’t doing anything in particular. Probably riding in the car with my husband or watching TV. Two activities that promote daydreaming in me. All of a sudden, a ten-second movie blip played in my head. I saw a young woman running through the woods. As she emerged from the trees, she ran onto a highway where the headlights of a truck blinded her. In that instant, the plot of Deadly Communications was born and from that Maven, my crime-fighting speech therapist was created. I love Maven. In many ways she reminds me of myself. In other ways, not at all. She’s definitely the adventurous one! 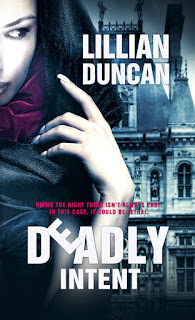 To celebrate the release of Deadly Intent, I’m having a giveaway on my blog, Tiaras & Tennis Shoes at www.lillian-duncan.com. Grand prize is a $25 Amazon gift card but that’s not all! Five more winners will get a $5 Amazon gift card. How’s that for a celebration? All you have to do is hop over to www.lillian-duncan.com and leave a comment on the Deadly Intent announcement. The contest ends September 26. PS. When you leave a comment, be sure to tell me what blog you read about me on. Then check back to see if you’re a winner! Maven Morris can’t seem to find that place. A childless widow, she has no immediate family. Forced into a medical leave, she has no career. At loose ends, she hasn’t a clue what’s next for her. Her neighbor, Paul Jordan knows what he wants—to move their friendship to a new level. Maven may not know what’s next, but she does know she has no interest in romance with anyone— not even her handsome neighbor. When a young boy is abandoned in the city park, he touches her heart. In spite of his obvious special needs, she agrees to provide a temporary foster home for him. She has no idea the impact he will have on her life—or the danger he brings to her doorstep. The winner of last Thursday’s blog post for a copy of Chapel Springs Survival by Ane Mulligan is Sonja. I’ll email you. Thanks all for commenting. Watch for more book giveaways. I am intrigued by this one! Thank you for the opportunity! Melanie, you're welcome. I appreciate you following my blog! Thanks for commenting. Deadly Intent sounds awesome! I would love to read it. Caryl, thanks for coming by and leaving your comment. Patricia, glad you stopped by and left your comment. Nancy, thanks for coming by and leaving your comment. This is a new author to me. I like the heroine of this story and think she is interesting! Diane, glad you found a new author here. Thanks for leaving your comment. Small boy--childless widow--handsome wanna-be suitor. Add a mystery and you have the plotline of a great book. Please enter my name, Jo, and I also follow your blog. 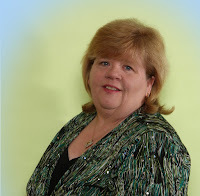 Connie, happy to enter your name and so appreciate you following my blog! Thanks for commenting. Sounds like a great read. Thank You! Karen, you're welcome. Thanks for coming by and leaving your comment. Esther, so glad you're enjoyed these blog interviews with authors. Thanks for stopping by and leaving your comment.